Home » Nardò, Puglia: Walking on Sunshine! The long 2014 summer is just started and the beautiful places and towns of Salento sub region of Puglia can be visited in cinemas around the world: Walking on Sunshine is a new British musical romantic comedy-drama film directed by Max Giwa and Dania Pasquini. The film features covers of hit songs from the 1980s and was released on 27 June 2014. It is also a debut role for singer-songwriter Leona Lewis. The plot: Taylor fell in love with hottie Raf while on holiday in Puglia, Italy but, despite his entreaties to stay, she left to go to university. On graduating three years later, she returns to Perugia to holiday with her sister Maddie who is already there (they had decided on Puglia because it meant to much to Taylor). Maddie, who has a history of relationships with unsatisfactory men, announces that she has had a whirlwind engagement and is about to get married in two days. 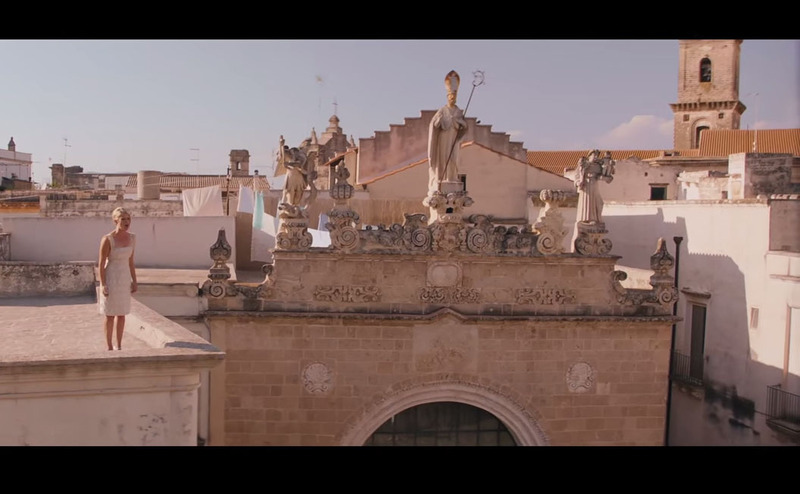 The places: The film is set in Italy in the southern part of Puglia, the sub region Salento and around the historic towns of Nardò and Gallipoli, and the beautiful beaches of the Ionian west coast.